Family members make special requests for it, and friends have begged me to share the recipe so they can use it for their own parties and bake sales. It’s the kind of icing that you just want to eat directly out of the container with a spoon, and I’ve caught Anthony doing just that on more than one occasion. It’s super fast and easy to whip up, and the best part is that you can change it to any flavor you want! Our personal family favorite is almond, and I rarely make other flavors any more, but you could. Do you want to try lemon frosting on that blueberry cake? Done. 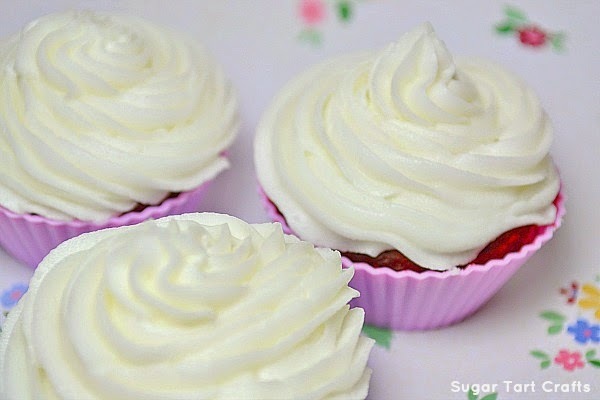 Peppermint frosting for those chocolate cupcakes at Christmas? Bam! Orange? Amaretto? Creme de Menthe? Butter Pecan? Vanilla Bean? Rum? Heck, you could probably even find bacon flavoring if you tried…eww. If you’ve got the extract, you can make it into a smooth and creamy cake frosting! 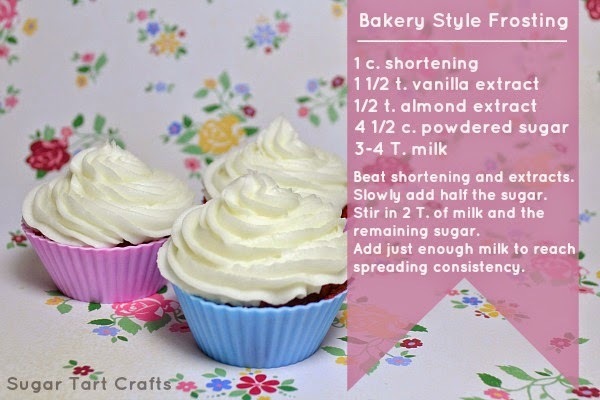 Simply swap out the 1/2 teaspoon of almond extract for one of your choice. -This recipe makes about 3 cups which is enough to cover a pair of stacked 8 or 9″ rounds. -It will dry with a nice thin “crust” without getting hard if left out, but will “sweat” if placed in the fridge. 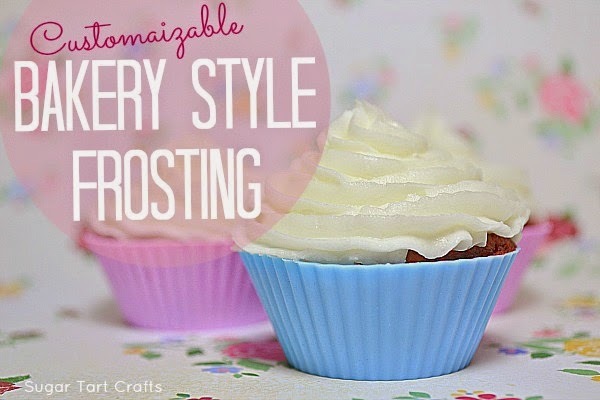 -This is a very thick frosting so if you plan to use it for piping, thin it out with a little extra milk. be able to better support the weight of the fondant. What flavor would you try first? Hey Chelle, Strawberry would be delicious! Just pinned to be used very soon…can't wait! Thanks for sharing. Looks yummy! It is similar to a recipe that my ex-husband's stepmom gave me that I still use but hers has cream cheese in it. Pinning for later!! Yum! Almond sounds like a nice addition ~ I might try that! Thanks Virginia! I’ve been updating my linky party schedule since I took a year off, so I’ll definitely stop by.